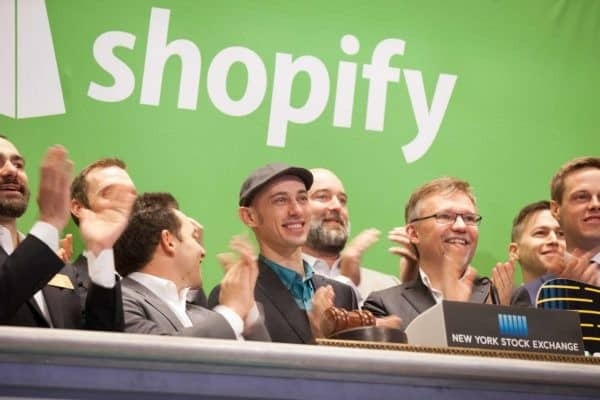 Shopify (Quote, Chart TSX, NYSE:SHOP) has been one of the notable high-fliers in the Canadian tech revival of the past few years. But does that mean that current investors have missed the boat on the stock’s upside? Is the Shopify stock forecast less rosy than its past? Not necessarily, says National Bank Financial analyst Richard Tse, who says compared to other high growth tech names Shopify is more reasonably priced than you might expect. The National Bank Financial analyst says in this extended bull market, high valuations are being rewarded to high growth tech names that could be described as SHOP’s peers, such as ServiceNow (Quote, Chart NYSE:NOW), ETSY (Quote, Chart Nasdaq:ETSY), and Salesforce (Quote, Chart NYSE:CRM). Tse performed a comparable analysis of a group of eight successful high-growth names in their first 25 quarters from their respective IPO dates. He notes that Shopify is just three years in but says it will surprise some to find that the company’s base quarterly revenue compares favourably to household names such as Netflix (Quote, Chart Nasdaq:NFLX) and Veeva Systems (Quote, Chart NYSE:VEEV). Tse points out that SHOP’s base is around $45-million, compared to about $20-million for Netflix at the same time, so the company isn’t simply benefiting from a small base.